I know, I know. I'm a total subscription box junkie, but I have to admit I'm pretty unapologetic about it because I love the excitement of opening a box or bag every month and seeing what new products I get to try out. 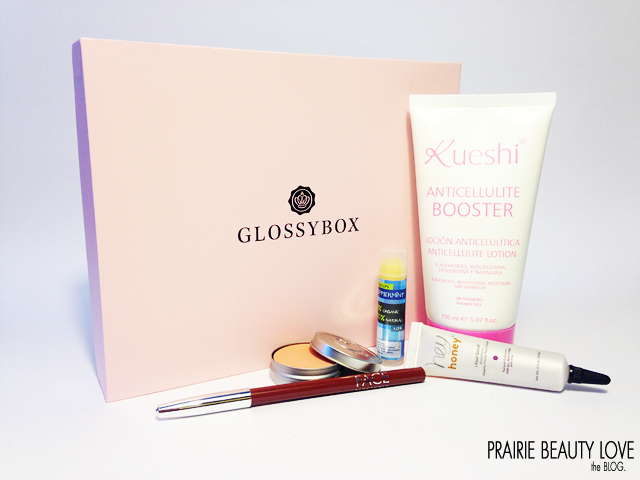 For the past several months Glossybox has really been my favorite, because I feel like I've been exposed to some really great products with generous sample sizes and full size products. Anyway, this month I opened all of my subscription boxes within 24 hours and I have to say this one really took the top spot for me once again! If you're interested in seeing what I received this month, keep reading! Now, I'm not so much a believer that a lotion can actually make a significant difference in my cellulite, simply because of the nature of cellulite itself, but I'm all for a cream that could improve the look of my thighs on a short term basis. This product claims to improve the appearance of existing cellulite and prevent its formation. I tested it out on my arm and I really like the texture of it. I feel like it smooths really easily onto the skin and leaves behind a soft, fresh scent that I really like. I'm crossing my fingers! This product claims to improve skin's elasticity, hydrate, exfoliate and protect. Not gonna lie, I'm really optimistic about this one and can't wait to try it out on my skin. I love honey as a skincare ingredient because it has really incredible benefits, so I feel like this could be a winner. It's a thick gel that looks like honey, but isn't sticky or too thick and smooths easily onto the skin. You're meant to massage this product into the skin for 2-3 minutes and then rinse, which sounds easy enough. This has a soft honey scent that I don't find overwhelming or offensive at all. Also, very happy with the size of the sample! Ahh lip balm. You know, I think some people don't like getting lip balm in a subscription box, but because it's a product that I use every single day without fail and pretty much constantly in the winter, I don't mind at all. I actually quite like this lip balm. 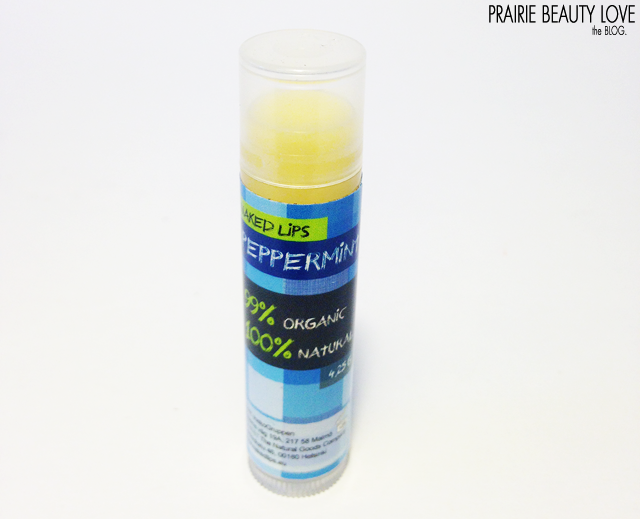 It's not overly thick on the lips, but feels smooth and moisturizing. There's quite a tingle on the lips from the peppermint, which I like, but the smell and taste are surprisingly subtle - another win. I am definitely not mad at this one. I'm still trying to decide how I feel about this lip liner, but I feel like I probably won't be sure how I feel about it until fall. This shade is definitely different for me. It's a sort of burnt sienna type shade (which I think explains why I feel like I'll know how I feel about it better in the fall) that I think will be a bit polarizing. The texture is quite middle of the road, with it not feeling too dry nor too creamy, and I find upon first impression that it actually applies quite nicely without really tugging or pulling on the lips. Like I said, I'm not quite sure how I feel about the shade, but the quality seems to be quite good. If you read my post about Canadian Brands for Canada Day, then you'll know that the Swimmables blushes were one of my picks for what to try out from Cargo. I've tried Googling, but I wasn't able to find this particular shade anywhere, which makes me think it must be new to the collection - Exciting! 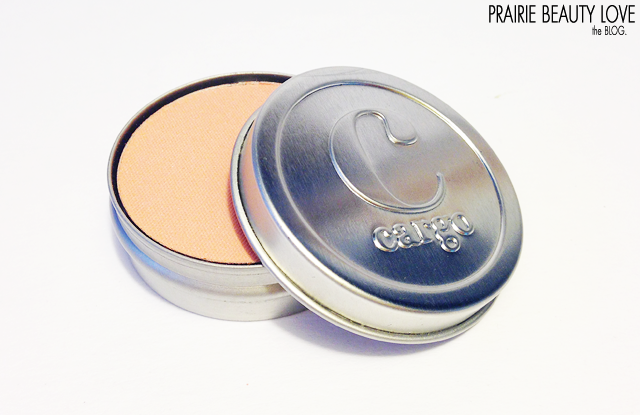 Coronado is a pale peach shade with a satin matte finish and it is absolutely gorgeous. This is one of those products that doesn't swatch all that well, but looks really pretty and natural on the cheeks. This is definitely my favorite sample of the bunch and I know I'll be getting a ton of wear out of it for the rest of the summer since it looks great on bronzed, glowy skin! Like I said in my little preamble, this was my favorite subscription service this month and I'm really happy with all of the samples (even though I'm still iffy on the lip liner shade.) While Glossybox is a little more expensive than the other subscription services that I receive, I find that almost always guarantees a higher value box with distinctly higher end products so it's absolutely worth it. 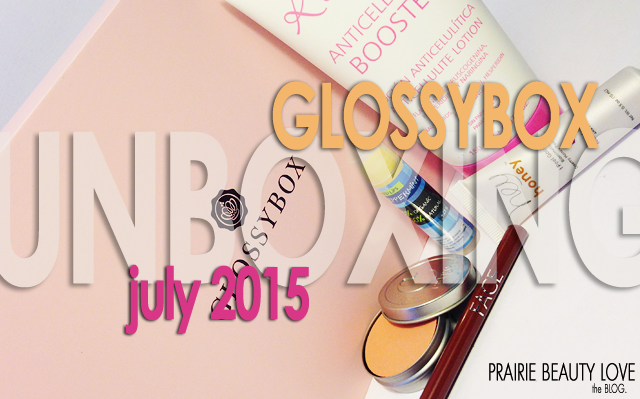 Glossybox is a monthly online subscription service that curates boxes filled with 5 samples of various beauty, skin care, and haircare products delivered to your door for $21 a month (Plus $5 shipping for Canadian customers). Each month you'll receive a beautifully packaged box that makes for great reusable beauty storage filled with 5 different products to try out. If you sign up this month before July 31 and use the code ROSES, you'll receive a free Sisley Black Rose Cream Mask, which is a $19 value!